As a child I ate and mourned. 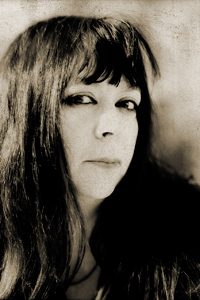 Diane Seuss is the author of three collections of poetry: Four-Legged Girl (forthcoming from Graywolf Press, 2015); Wolf Lake, White Gown Blown Open (University of Massachusetts Press, 2010), which received the 2010 Juniper Prize for Poetry; and It Blows You Hollow (New Issues Press, 1998). Her poem “Either everything is sexual, or nothing is. Take this flock of poppies,” which originally appeared in Blackbird, received a 2013 Pushcart Prize. Her poem “Free Beer” is included in The Best American Poetry 2014. Seuss was the MacLean Distinguished Professor in the Department of English at Colorado College in 2012. She is Writer-in-Residence at Kalamazoo College in Michigan.